In 2018, the UAE hosted the second UN World Data Forum, reflecting the commitment of the UN and the UAE to the Sustainable Development Goals (SDGs). The major themes explored at the Forum revolved around identifying data for impact, measuring gender data, building trust in data and technology, and creating a healthy data ecosystem. 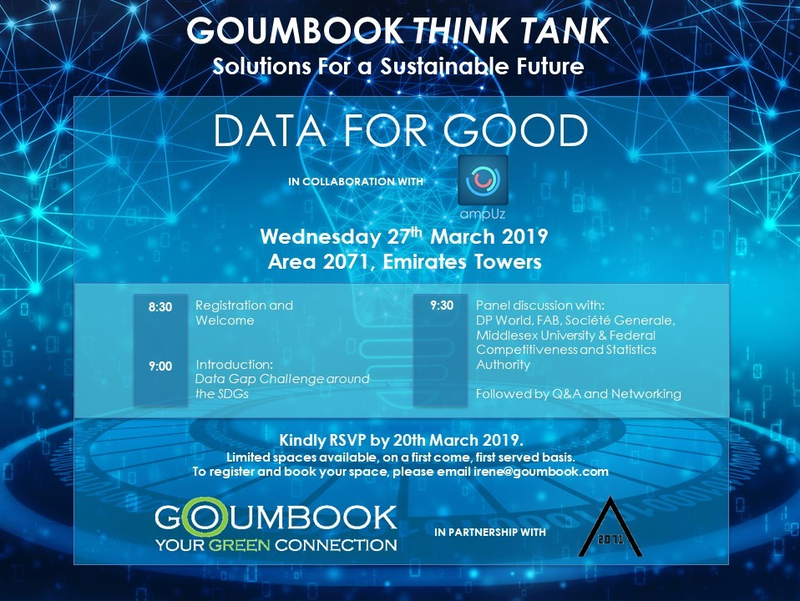 Continuing these conversations, we have partnered with Goumbook, one of the UAE’s leading social enterprises to bring you a panel discussion on the intrinsic role of data and technology in achieving the Sustainable Development Goals. The panel discussion will be held on 27 March 2019 at the Dubai Future Accelerators Auditorium at Emirates Towers from 9am -11am. To RSVP, please email associate@ampuz.com or irene@goumbook.com by 20 March. Connect with us on Twitter and LinkedIn!